We’ve all been there, the dreaded rejection letter, email or phone call. 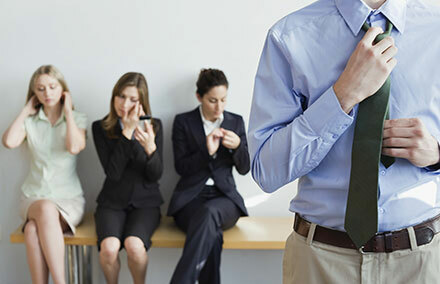 It is never a pleasant experience, particularly if you’ve faced several rejections so far in your job search, it can be easy to feel dejected and disheartened. You may have been well prepared for the interview and felt that it went very positively, yet the final outcome was far from what you were expecting. This, of course, can be frustrating. It’s important to remember that the way you handle rejection is just as important as the skills on your CV when it comes to securing a new role. If you allow rejection to knock your confidence and make you doubt your abilities, it could negatively affect your performance in future interviews. If a rejection email does ping into your inbox, here a few things to remember to help you remain positive, optimistic and motivated. It’s easy to take a rejection personally by blaming your personality or interview technique on your failure to land the job. Try not to read too much into your rejection, these decisions are rarely based solely on your performance. If you’ve prepared fully and tried your best, there’s little else you could have done. Most of the reasons behind hiring decisions will not be made apparent to you. You may have performed excellently but there could be other factors at play. For example, there may have been a very strong internal candidate who is already familiar with the business, or another candidate with slightly more relevant experience than you. These are things you cannot change; they’re beyond your control. Don’t just assume that everything you’re doing is wrong because you didn’t get the job. It is perfectly acceptable to politely ask the recruiter or employer for more detailed feedback about your interview in order to help you improve. Remember though, interview feedback can sometimes be bland and unhelpful, so do seek out other genuinely useful feedback where possible. You could seek the advice of an HR professional and try out a mock interview in order to practice and get some constructive criticism. As a recruiter, we endeavour to follow up on interviews and give feedback to candidates wherever possible. However, we are only able to pass on feedback that’s provided to us – which is not always forthcoming from busy employers. Don’t carry interview baggage around with you. Approach each new job opportunity with a fresh perspective and a positive attitude. Tailor your CV to best match a new opportunity and fully research and prepare for a new interview. If you made mistakes or felt unprepared in your last interview – learn from this but don’t keep it at the forefront of your mind, it will only make you nervous. Every company and hiring manager is different and will have a different idea of the ‘ideal candidate.’ Keep a fresh approach while remaining true to your personality and experience. Your confidence can take a hit when you get a rejection, so it’s important to work hard at keeping your morale and motivation levels buoyant. Especially if you’re not in current employment, it’s a good idea to keep your skills sharpened and your experience up-to-date. This may take the form of a part-time training course (if relevant), a charity project, mentorship or a voluntary position in a company of interest. By keeping professionally active in this way, you can aid ongoing development, boost confidence, give yourself a focus outside your job hunt and provide a discussion point in your next interview. Now is the time to find your next interview with Michael Page and put all this into practise.